« Yerba Buena is Back….Again. Last weekend I was invited to a party. The description below is from the Facebook page for the group. This BBQ has been going on since Superbowl Sunday in 1990. There were 4 cooks that day, Steve Hamm, Charlie Kuhlman, Joe Coles (Chef at Rigsby’s at the time) and Larry Tuten, plus a dozen or so wives, girlfriends, partners and friends. By year six there were 35 cooks and 250 people including two Master Chefs (Hartmut Handke and Rod Stoner from the Greenbrier) joining in the fun. 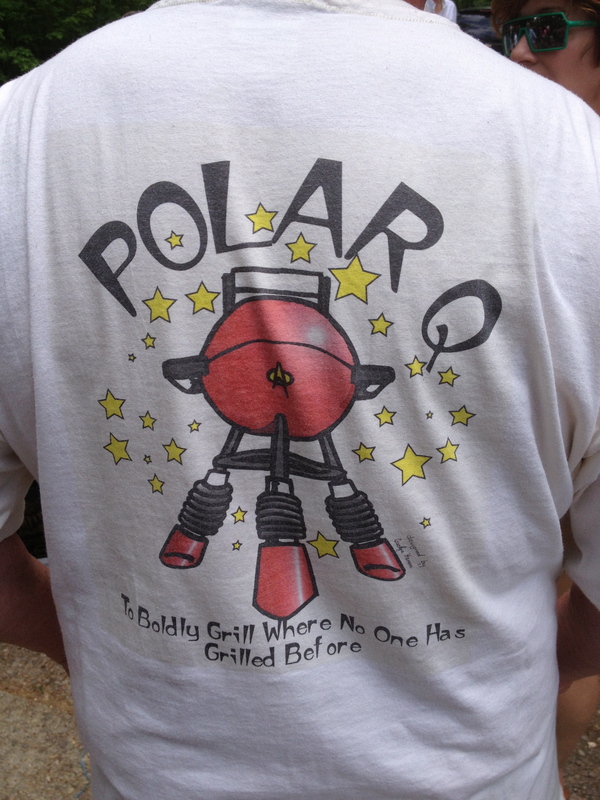 Now that Polar Q is no longer being held on Superbowl Sunday the name morphed into “Not So Polar Q”. Just as much fun with a lot less snow! All three major network TV stations have sent a crew out over various years. Please add your own stories and memories and post your photos from the last 22 years. We hope you can join us this year and pass this on to those we may have missed! To find out more about Not So Polar Q, check out their Facebook page. The cook-out party featured Anna and the Consequences as well as a few guest musicians. The food was great – grilled, chilled and otherwise. It was hosted at City Club a bucolic hideaway tucked into a residential area near Hoover dam. The club is run by a group which has existed since the 1920’s. I had heard of City Club for years but never had an invite to go. All of the above, inspired me to drop in under the radar to experience the party. I knew a few of the people there vaguely but not enough to really embed myself in the festivities, so I sat back and watched the party with some detachment which inspired me to muse a bit about the culture of the Midwestern get together. As residents of the Midwest, we are trained from an early age to expect, prepare for and recruit for cook-out’s between Memorial Day and Labor Day. For some, this level of preparation is on par with a Doomsday prepper (and for those of you that are so uber-organized and gung-ho!, I salute you). I say parties of these ilk should occur all year-long, but clearly the ones in the core party phase of the summer and something we look forward to and something that should be special. 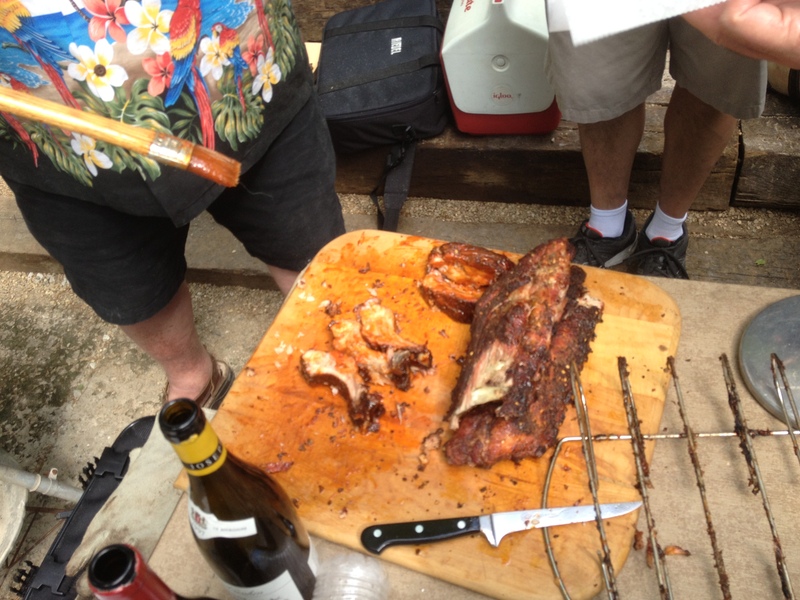 What can you do to heat up your summer cook-out to make it memorable and more than meh? I think we can learn something from the Not So Polar Q folks. 1) Find your Tribe: Too little or too many people make a party bland. Sure the food is most important but the company, camaraderie and conversation run a close second. In my life experiences, for parties, I lose track of people once the 12-16 person zone is crossed. More than that, people get lost in the crowd. 2) Pick your theme: Grilled meats, cocktails, a regional cuisine….whatever, find a common thread to the grub to guide the evening and perhaps add to the after meal chatter. 3) Have a heart: The core of any group needs an organizer. Someone that changes the conversations from “we should do this” to “here is the plan”. Back in the day, there was a collective in Clintonville known as the West Californians. I was adopted into their group event though I reside in Beechwold. We had several memorable parties over the years but the core driver of each was “The Coop Dawg” who would say, “hey ya’ all” let’s get this thing going”. It does not take much, but someone has to light the fire to action and get the group in motion. Someone has to be the heart of your group. 4) Brand your Tribe: Make a sign, pick a name, print up T-Shirts… do something to own the name of your event and get people involved. If you do this once, you are likely to create an event that will recur and be looked forward to every year. Looking for an idea but stumped or intimidated by having limited cooking skills? I’ll give you four themes to inspire your creativity or you can copy off of me. A) Hotdogpalooza: Buy as many different hot dogs as you can. Gather a multitude of mustards and toppings. Buy some really good buns. Grab a grill, cook your hot dogs and enjoy the evening. B) Pizza Grand Prix: Have everyone bring a medium pizza from their favorite pie shop and share buffet style. C) Chilifest: Each person brings a chili or soup and let the ladling begin. D) Donut Tasting: Pick any baked good, but I would advocate for the lowly donut (but you could do pies, cakes, breads, whatever) and have each guest bring enough samples to feed twelve…mix, match and hope you have plenty of couches to slumber on status post sugar coma. Armed with some ideas and inspiration, go forth and create something special this summer. And if you are outside, have a fire, that is the best way to gather your tribe. This entry was posted on May 25, 2013 at 8:34 AM	and is filed under BBQ, Food For Thought. Tagged: Not So Polar Q. You can follow any responses to this entry through the RSS 2.0 feed. You can leave a response, or trackback from your own site.